Fashionable scarf can be used year around. 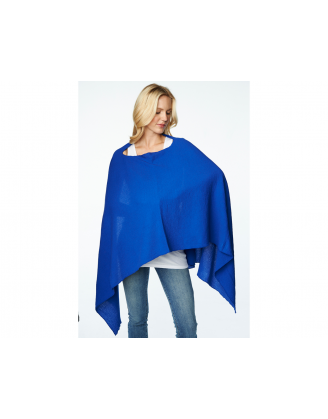 Lightweight gauze fabric is both comfortable for mom and, of course, baby too. You'll nurse in comfort knowing this scarf allows for total discretion. Maternal America's hole in center makes this unique scarf easy to use. When finished nursing, its sophisticated styling makes it a perfect fashion accessory.